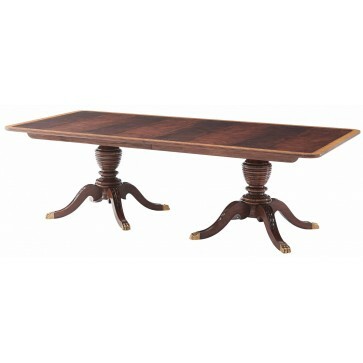 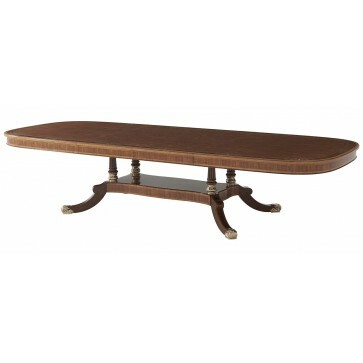 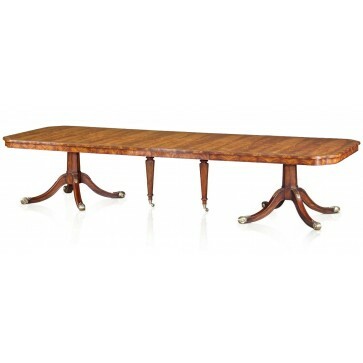 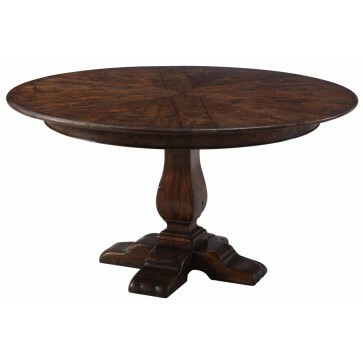 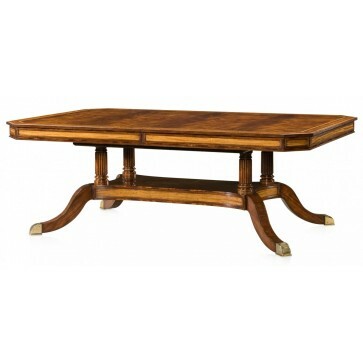 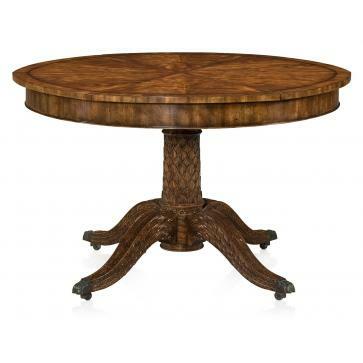 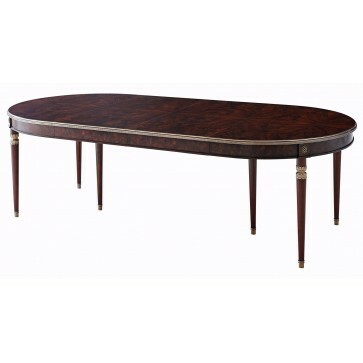 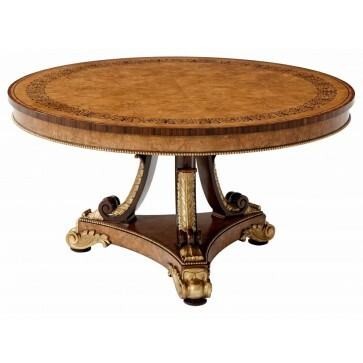 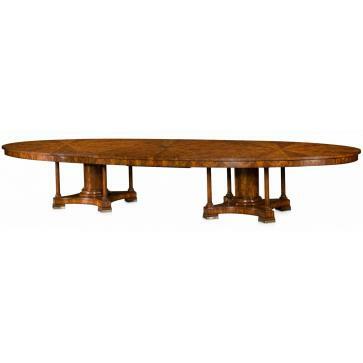 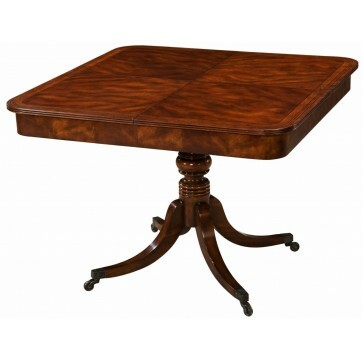 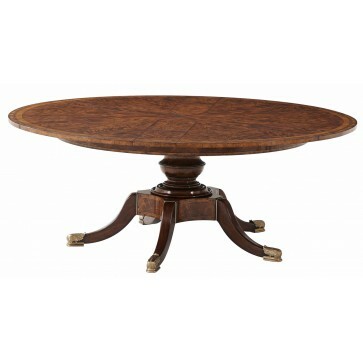 A mahogany extending dining table, the top in well matched flame mahogany veneers with mahogany crossbanding separated by satinwood and ebony stringing, with reeded edge. 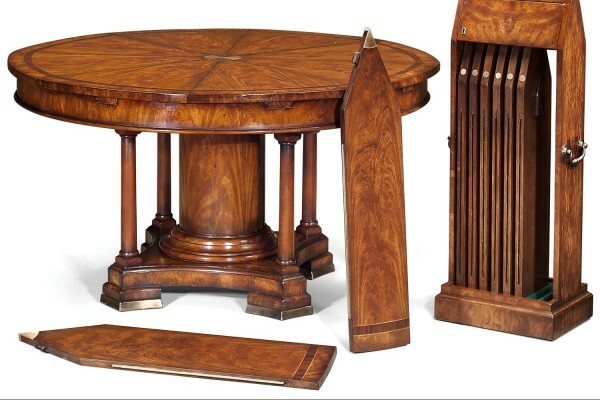 A mahogany extending dining table, the top in well matched flame mahogany veneers with mahogany crossbanding separated by satinwood and ebony stringing, with reeded edge. 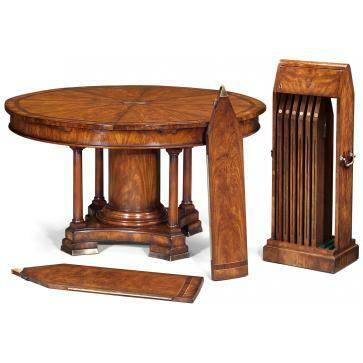 Two separately stored extension leaves take this table from accommodating 10 people to 14 people. 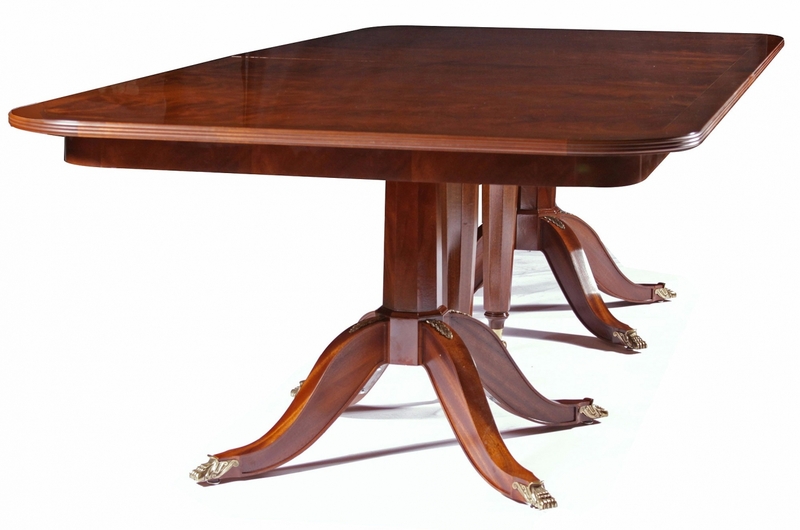 Two solid mahogany pedestals with octagonal column and four downswept legs with applied brass acanthus leaves and brass lion paw feet. 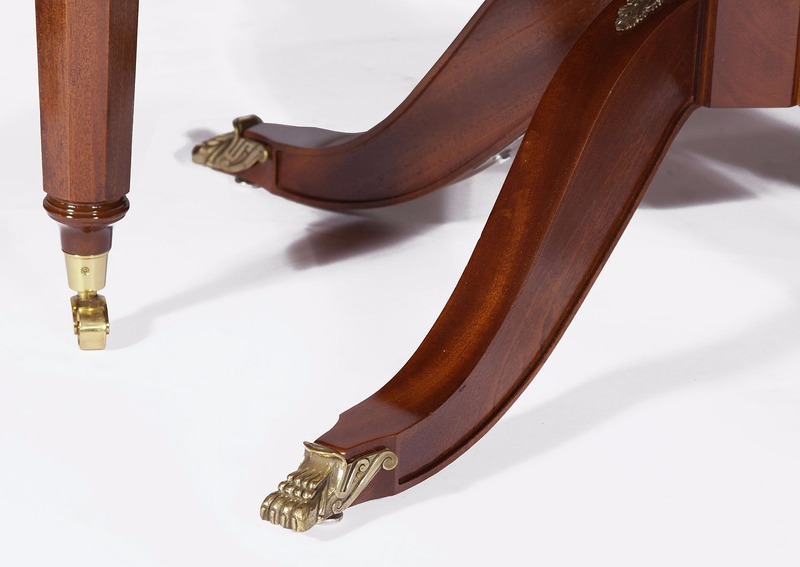 Two solid mahogany central supports on polished brass castors.